This past Saturday there was a definite chill in the air, but the sun was out, and we weren’t ready to start hibernating for the winter. So, we fought the urge to hunker down inside, threw on our chunky wool scarves, and headed outdside to enjoy the last few vestiges of fall – but where to? We only had a few hours and we knew we wanted to do something active outdoors,while still staying close to someplace indoors in case we needed to warm up. A nice hot cup of hot chocolate at the end of our outing wouldn’t hurt either. 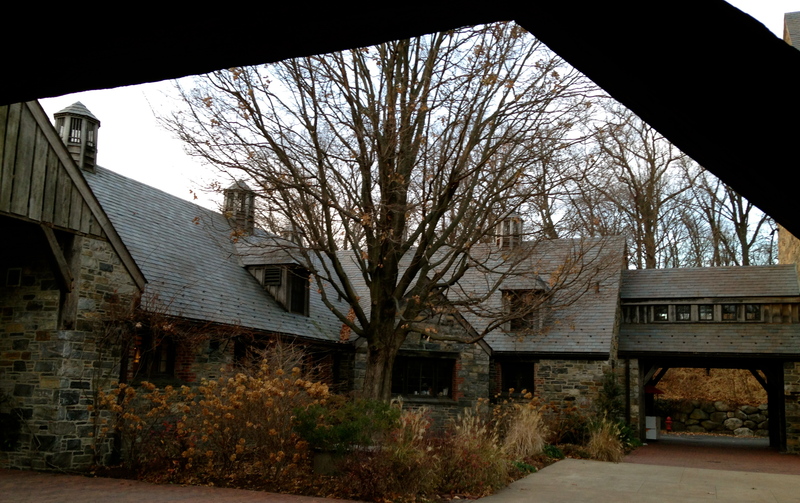 It took a little brainstorming, but we finally thought of the perfect place: Stone Barns Center in Pocantico Hills. Stone Barns Center for Food and Agriculture is a wonderful nonprofit organization with the following mission: to create a healthy and sustainable food system that benefits us all. They’re a working farm on a gorgeous, historic property, open to the public, and they offer a wide range of activities and events all year long. Some examples: behind-the-scenes farm tours, lectures and book signings, special tours and workshops for children, classes on gardening and cooking, and farmers markets all year long. It also happens to be the perfect place to go for a walk, enjoy the sunset, and grab a hot drink and delicious snack at the end of your journey. …and many animals out and about on the farm, including sheep, cows, chickens, and pigs. The turkeys were especially plentiful. We decided not to speculate why that might be. We also checked out the thriving greenhouse, where Stone Barns grows food for their farm-to-table restaurant and cafe on property. Some of the fields were still planted with cold-weather crops, too. After a long walk on the farm in the crisp November air, we were ready to head into Blue Hill Cafe, to sample some delicious offerings, made from locally grown ingredients. 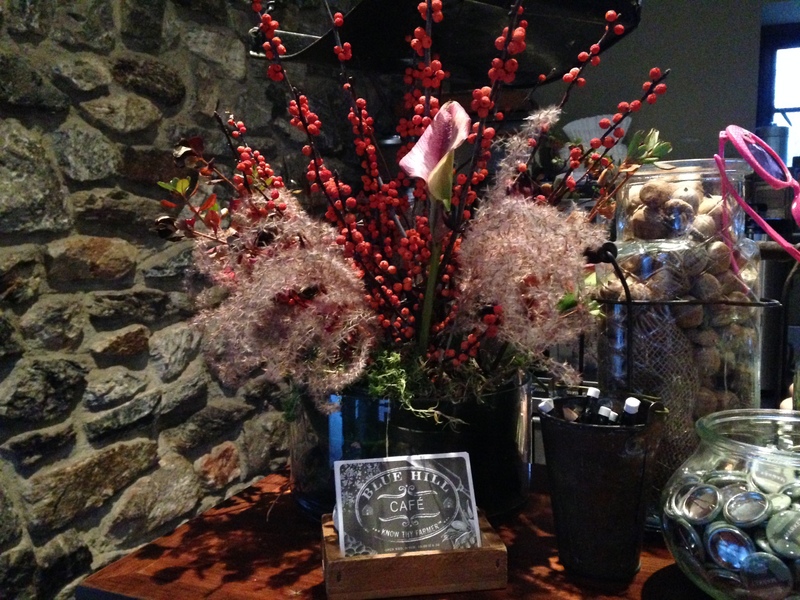 The cafe is beautiful, the food was delicious, and warm drinks are always the perfect ending to a chilly afternoon. The next time you have a few hours, Stone Barns is the perfect way to spend it. 1) The Stone Barns Center is open all year. If you’re looking for a great place for a winter hike, an afternoon hot chocolate, or a fix of farm animals- stop by. 2) As soon as you get there, stop into the visitor center in the Farm Store. The Walkabout Map and self-guided tour brochures will help you find your way around. 3) The gift shop is full of lovely, unique gift items. The shop specialties include gifts for your favorite gardener, your favorite cook, and your favorite child. 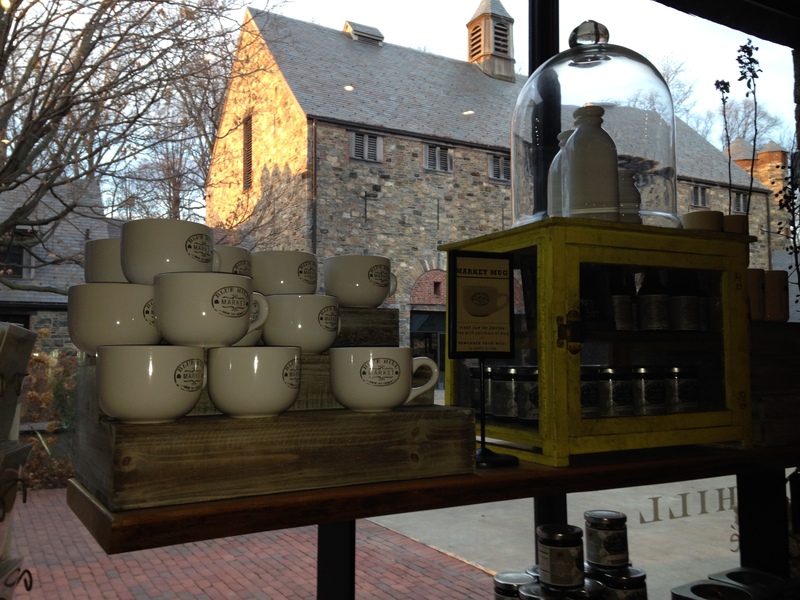 All profits from the shop fully support the nonprofit mission of Stone Barns, making it a great place to shop. 4) We discovered, quite accidentally, that this is an awesome spot to see the sunset. 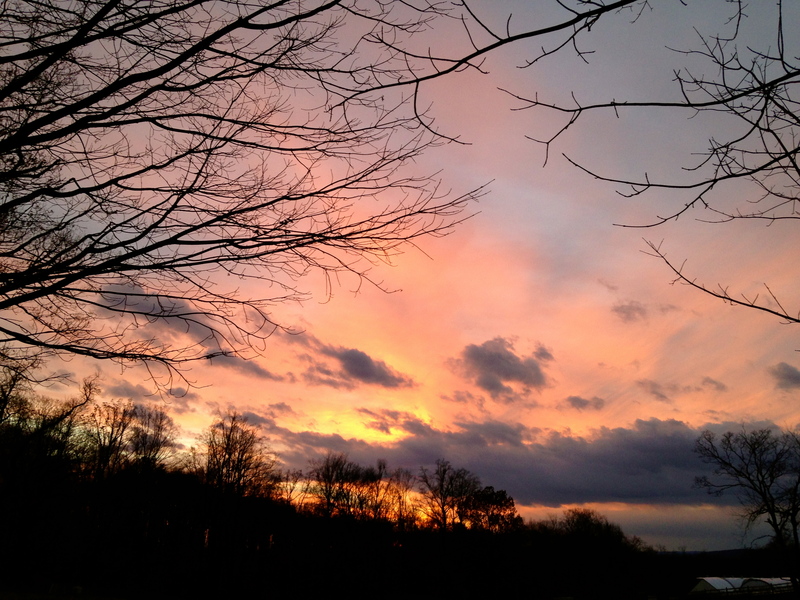 The wide open sky, and the twinkle of the Hudson River in the distance, made this the perfect ending to the day. One final thought. I’ll be adding a new section in my blog posts, whenever I can: Happy Day, Doing Good. I know the best way we can each guarantee a Happy Day is by doing something to make the world a better place- no matter where we are, no matter what we’re doing. I’ll be trying to bring that to life here at Happy Day, Westchester. Here’s the first example. 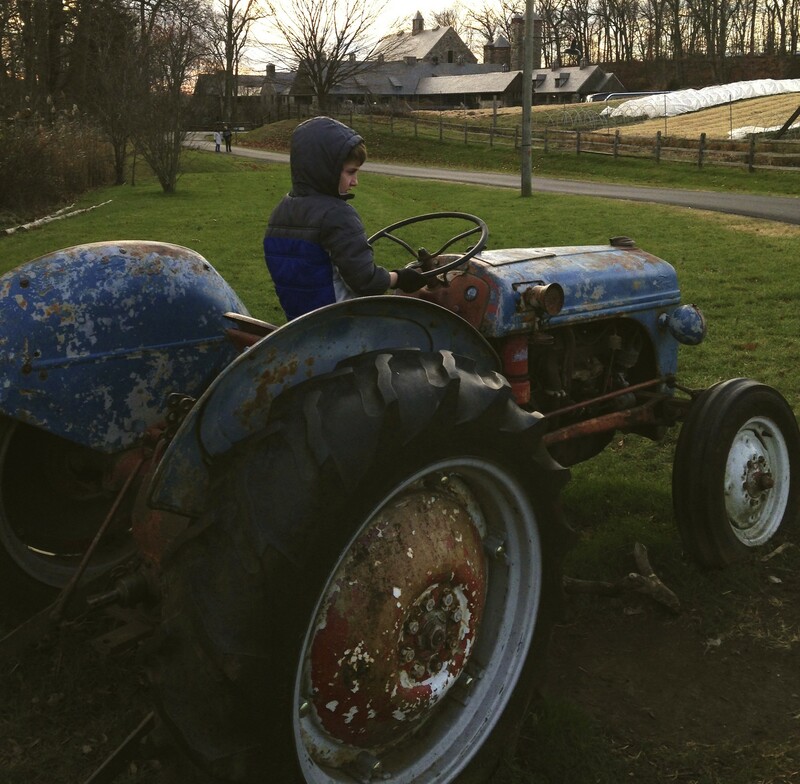 Happy Day, Doing Good: My family became members of the Stone Barns Center for Agriculture and Food, to help support their wonderful mission. 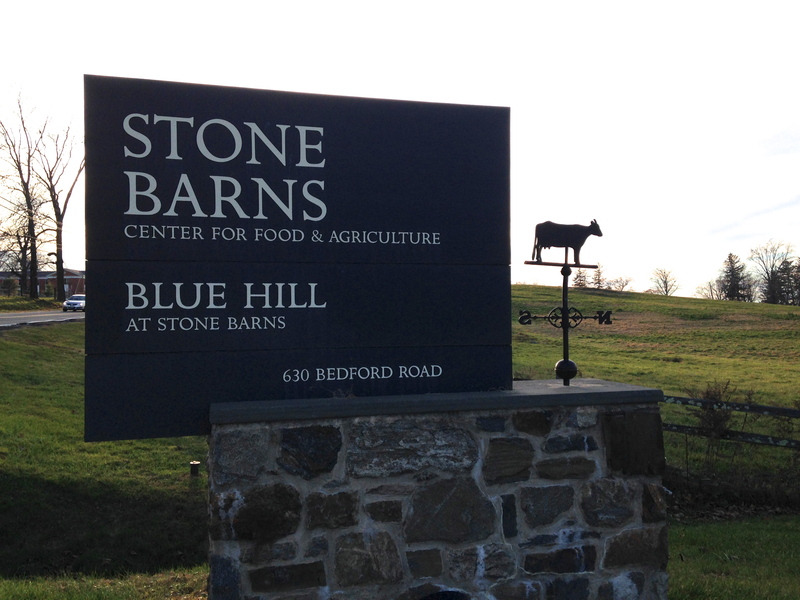 Have you been to Stone Barns? Will you consider going now? Please leave me your thoughts in a comment. I’d love to hear from you. Along these same lines — doing good by supporting local agriculture — consider joining a CSA (community supported agriculture) program — there are many around to choose from. participants pay upfront for produce throughout the growing season, get the very freshest truly just-picked produce around and support local farms. Carol, thank you! Great point. Stone Barns also has a CSA program. I have never participated in one, but it sounds like something I should definitely try. Those are some excellent photos there! Keep up the good work!